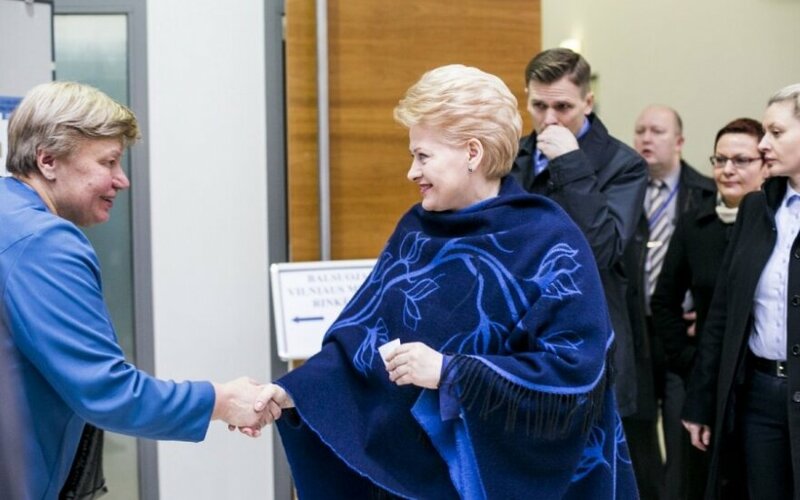 President Dalia Grybauskaitė says that although Lithuania can boast of great results in the area of women's rights and their active participation, women are still paid less compared to men and are dramatically underrepresented in top positions. "We are proud that a hundred years ago Lithuanian women were one of the first to have achieved the right to vote. Women's rights and activity remain a priority for Lithuania. Our situation and indicators are rather good - we are mostly in the top five in Europe," Grybauskaitė told the national radio on Thursday. The president quoted Lithuania's statistics: women make up 76 percent of public service employees and prevail in the governance of the state, a third of women work in top administrative positions. Forty percent of entrepreneurs are female and in this respect Lithuania is in the top three among EU member states. Lithuania is 5th in the EU in women's education and nearly 50 percent of scientists in Lithuania are female. However, according to Grybauskaitė, there are still challenges to work on: pay gap between men and women is significant and women rarely hold top positions. For example, in major business enterprises, there are only 4 percent of women in the top positions and 16 percent in the boards of directors. The president said such figures are low and this is one of the areas that need to be addressed. Grybauskaitė left for a visit to Santiago, Chile, on Thursday where she will attend a high-level event Women in Power and Decision-Making: Building a Different World.